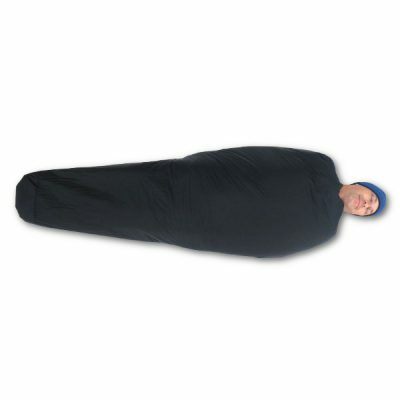 The M QUILT was specifically developed to be a multi-function piece of all-weather synthetic insulation that would extend the range of 2 – 3 season lightweight sleeping and clothing gear. Color(s): Black, Olive Green, Orange Citrus. 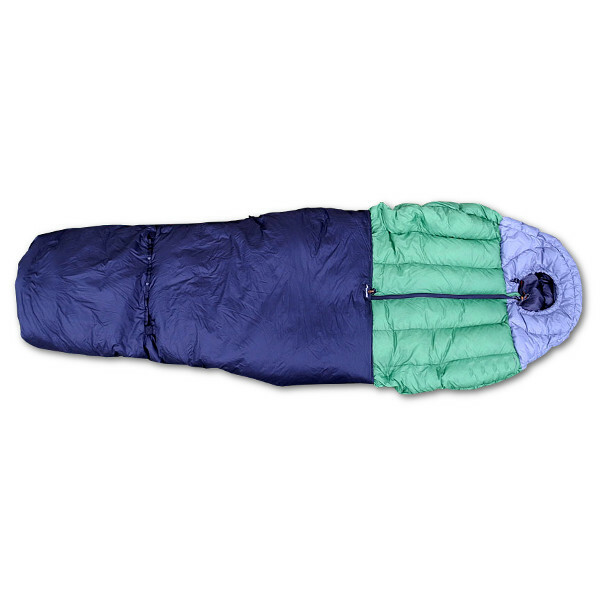 • As a 2/3 quilt for warmer temps with or without an insulated jacket when a full sleeping bag is too warm. • As a Shorty Hammock under quilt for milder 45 – 60 degree temps when you have an empty pack or small foam pad to use under lower legs. 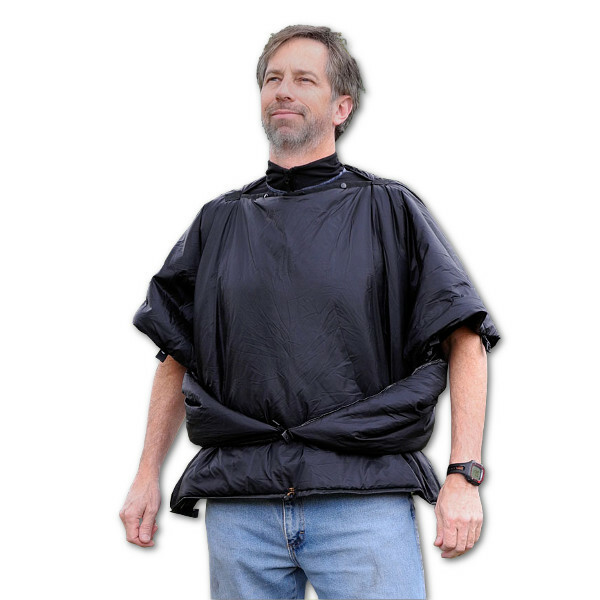 • Extra or Emergency upper body insulation; poncho design can be worn under a rain jacket. • As FKT and Adventure Race insulation at absolute minimum weight/space perfect for shorter polyphasic 24 hr – 72 hr race sleep cycles. 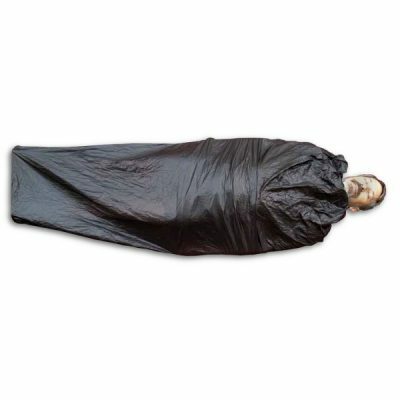 • As a 2/3 over-quilt to cover the bottom of a 2 – 3 season sleeping bag or quilt to boost it’s lower temp rating. 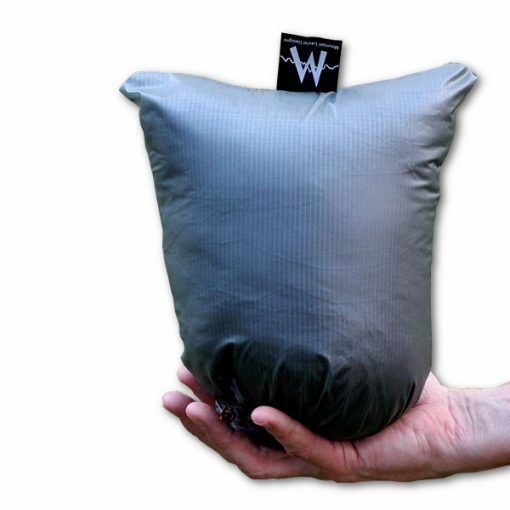 • Can be used over ALL other bags to boost temp ratings because the circumference can be adjusted. Use it over a 2- 3 season down bag and wear a light insulated jacket inside the bag to boost the overall system temp rating. This over bag system helps keep an inner bag dry. In below freezing weather insensible perspiration from your body or wet clothing cools as it moves through the sleep system and condenses back to liquid water near the colder outer surface. By using a synthetic quilt over a lighter /thinner down inner bag, the down bag stays dry, and if any moisture condenses in the synthetic quilt, it dries faster and retains heat when wet. • Hammock Under Quilt Use Ready: Corner webbing loops for use as a hammock under quilt. • Head and Foot elastic cord sleeves with anchored no-fumble cord locks at each end. • Snaps close the foot end. • Two upper removable dual sided adjustable back straps. • The quilt can be reversed to use inside out if one side gets wet. • We recommend Black or Olive Green color, for optimal speed drying. 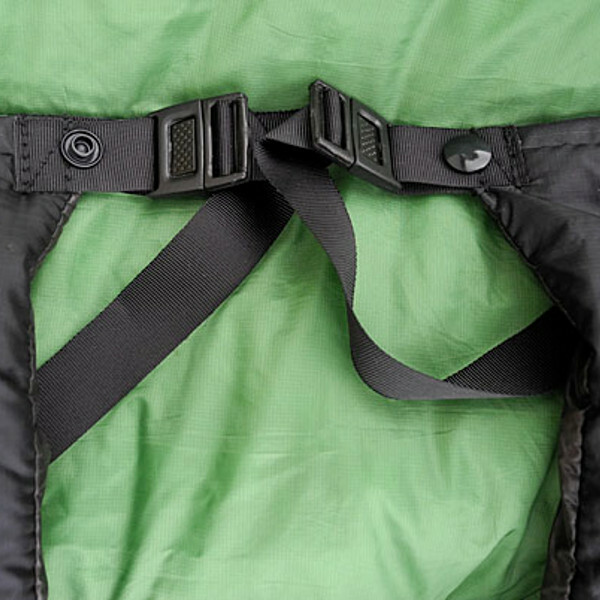 The M Quilt, is a true Ultra Lightweight Specialists tool; if you are new to back-country sleep quilt systems and their use, please read the entire product description and specs before adding to cart. • Most users will get this thickness. 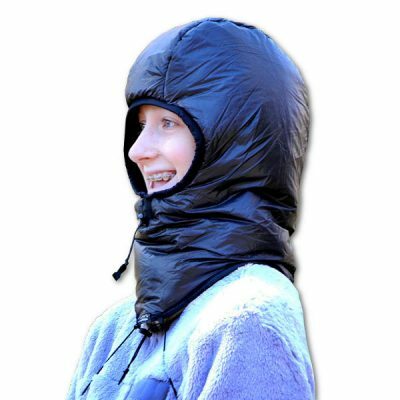 • Using this over a 35 degree down bag + an light jacket + balaclava will boost the sleep system rating about 15 degrees.